In 1903 Raleigh Rutherford Haynes constructed what was then the Haynes Grove Methodist Church. In 1907 the church became the Haynes Grove Baptist Church. In the early years worship service was conducted twice per month. But Sunday School was held weekly. 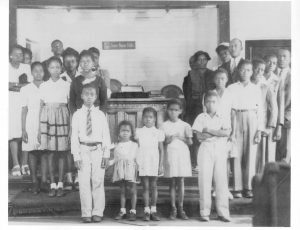 It should also be noted that the church was used as a school for the African-American children of Cliffside until January of 1936, when a small brick school was constructed on a hill not too far away. Sadly, very little information is available about Haynes Grove in its first 30 plus years. We do know that the first recorded baptismal service took place in 1917, in the creek by the Roller Mill. And we know that the first nine pastors of Haynes Grove Baptist were Rev. Hopper, Rev. Williamson, Rev. R.B. Gill, Rev. Summy McBrayer, Rev. White, Rev. 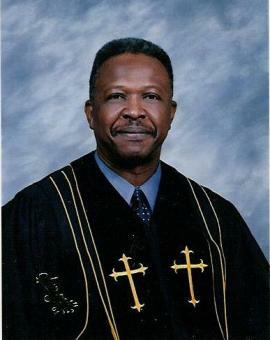 Lester Smith, Rev. B.R. Clayton, Rev. Hartgrove, and Rev. L.C. Ivory. In 1939 Rev. E.W. Bonner of Gaffney, SC was called to Haynes Grove as pastor, a position that he would hold for 43 years! And those were years of tremendous change, both for Haynes Grove and for American society. In the 1940’s the church building was greatly improved. The Rutherford County News of March 9, 1944 reported that “new seats, pulpit furniture, baptismal pool, rooms, rock veneered basement, paved walks and steps” made the church one of the most beautiful Black churches in the section. The baptismal pool mentioned above was an outside pool just at (what was then) the back of the church. The pool was built by church members E.O. Hamrick, Boyd Dover and John Wilkins. In addition to the improvements listed, a new piano was purchased in the 1940’s and the old wood stove which had heated the church was replaced by gas heaters. In the 1950’s the church began to observe the fourth Sunday of each month as Youth Sunday. This led to the election of three Junior Deacons charged with providing a preacher every fourth Sunday, and “developing a strong program of teaching and training”. These Junior Deacons were Billy Lee Blanton, Johnny Lee Camp and Booker T. Webster. In 1955 the church called Rev. Eugene Smith to preach on Youth Sundays. In the latter part of 1968 the church approved constructing restrooms in the church building. With the aid of a contribution from Robert “Tubby” Hawkins the restrooms were completed in April of 1969. 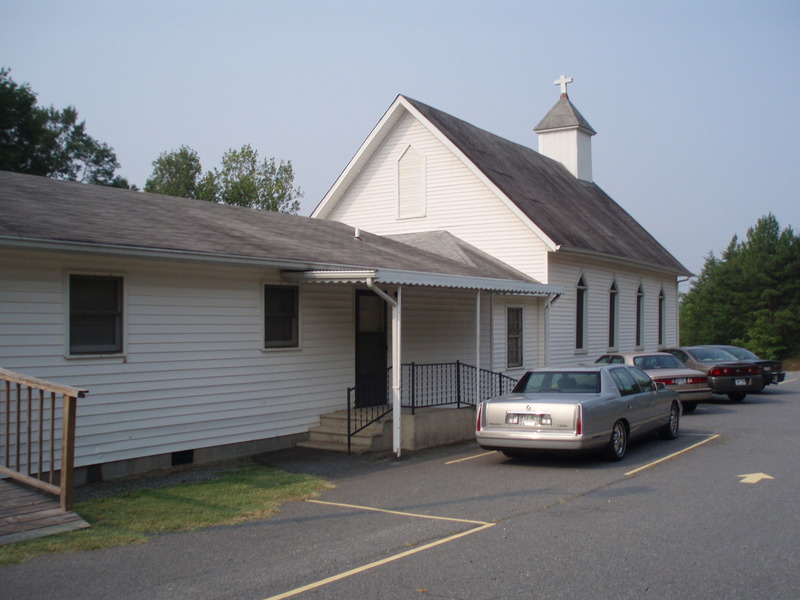 Later that same year, on November 5, Cone Mills, Inc. presented the church with a deed to the .9 acres on which the church and parking lot are located. 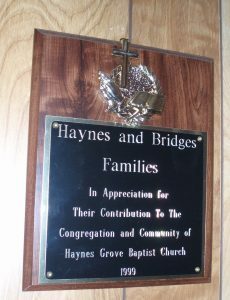 During the 1960’s and 70’s Haynes Grove became one of the first churches to give financial aid to every high school graduate attending college. In this way and others Rev. Bonner, along with Deacon Junie Webster and other officials of the church, worked to improve the economic and social life of Haynes Grove members and other minorities, along with their spiritual life. They were able to help obtain promotions for a number of minorities at Cone Mills. Likewise they championed the hiring and promotion of minorities in the Rutherford County School System. 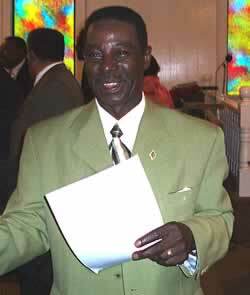 Then, after near a half century as pastor, in 1982, Rev. Bonner resigned his position at Haynes Grove. The search for Rev. Bonner’s successor went on for almost one year, until on June 5, 1983 the church elected Rev. 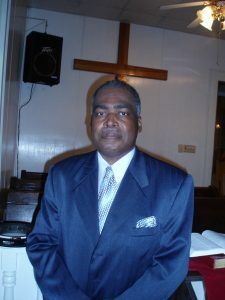 Edward D. Brantley, of Shelby, as their pastor. During Rev. Brantley’s tenure the church was completely renovated, an inside baptismal pool was constructed, and central heating and air conditioning were installed. New padded pews, donated by Robert Hawkins and Alfonso Wilkins, were installed. 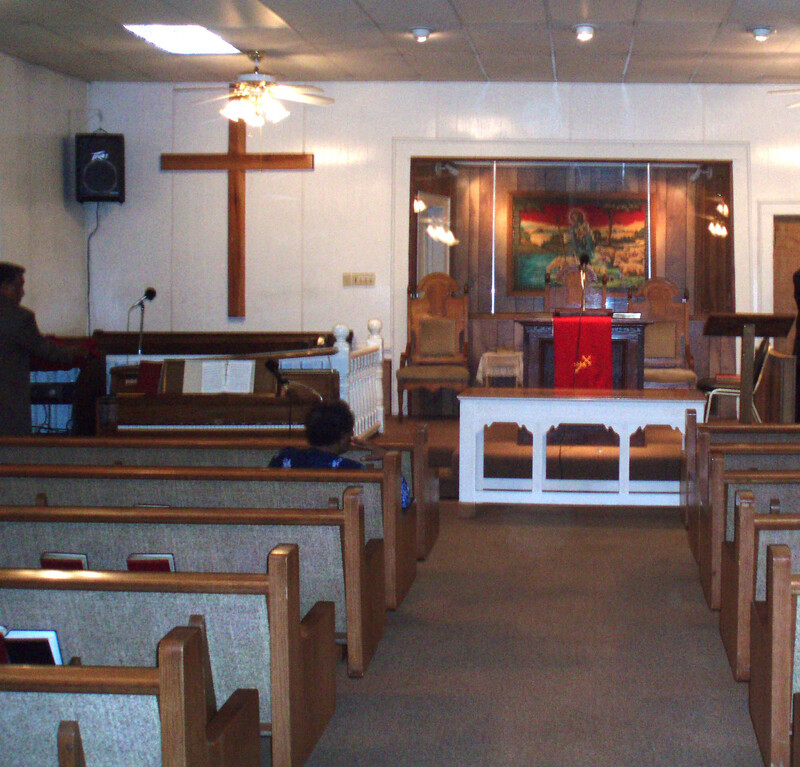 New carpeting was laid, new colored windows were installed, and a new piano was purchased for the church. In 1987 Cone Mills deeded to the church the 1.07 acre cemetery lot just west of the old Black school lot. And again in 1989 Cone Mills donated to the church the .93 acre lot lying just east of the church property and between the church and the Johnny Lee Camp property. Under Rev. Brantley’s leadership two women were licensed to preach. In 1985 the E. D. Brantley Senior Choir was formed and in 1987 the All-Male choir was organized. 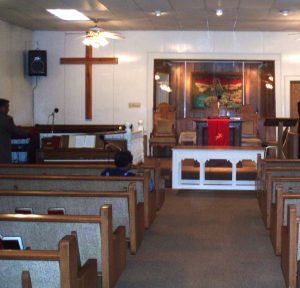 In a period overlapping 1989 and 1990 a new 30 by 40 foot Fellowship Hall was added to the church. Then in 1995 Rev. Brantley resigned. 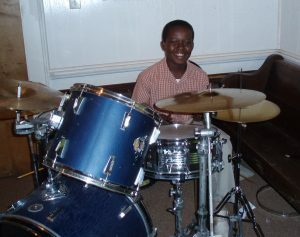 In June of 1996 the Rev. 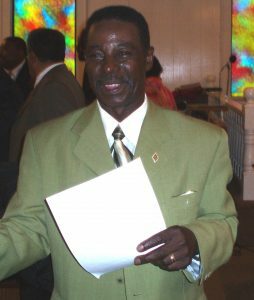 Charles L. Webber of Monroe was elected pastor. While Rev. 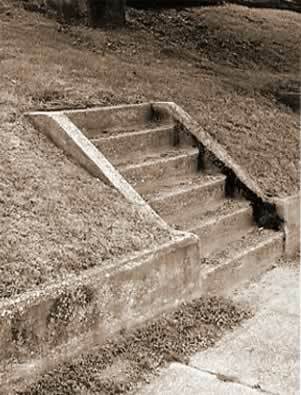 Webber was pastor improvements were made to the church basement, a shower was installed in one bathroom and a new ramp and steps to the basement were constructed. A new church van was purchased and new ministries were initiated. The church began a radio ministry, a rest home ministry, and a prison ministry. 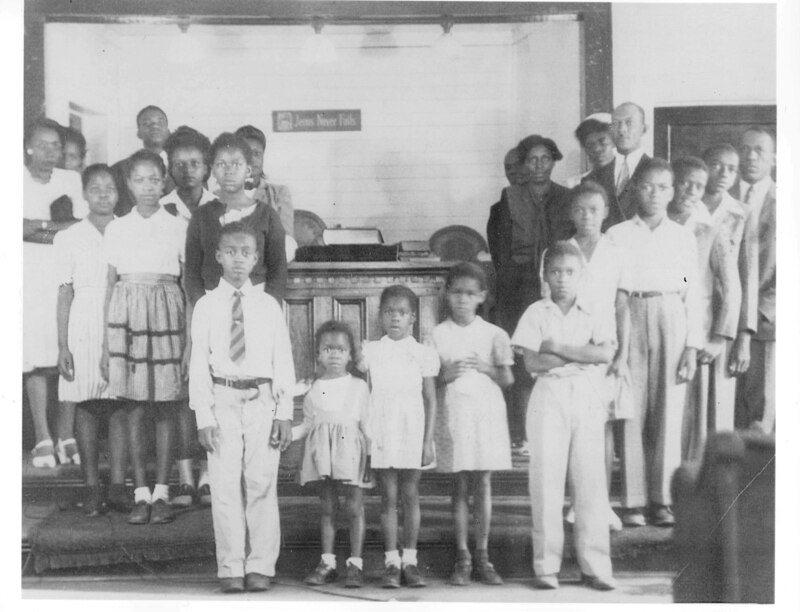 Children’s church was begun along with a young adult ministry; and the choir was reorganized. It speaks highly of the church, and the men, that both Rev. Brantley and Rev. 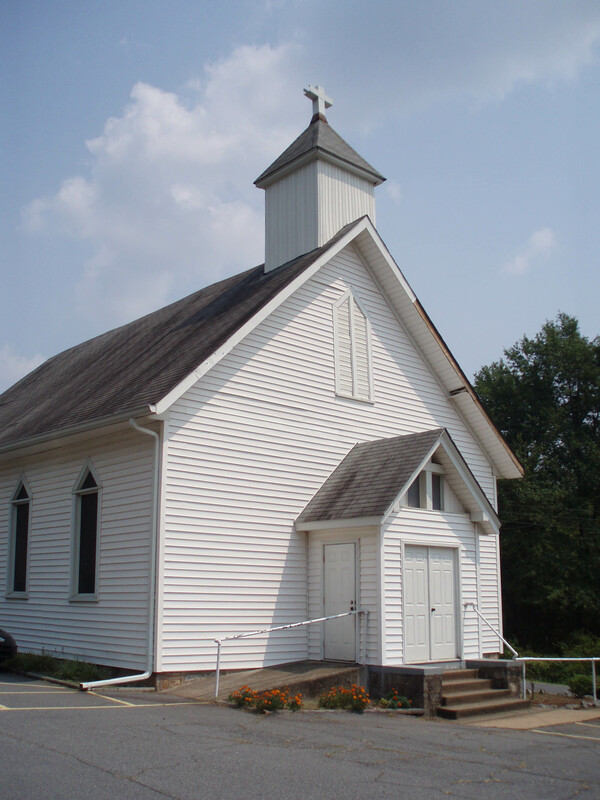 Webber served as moderator of the Gold Hill Baptist Association while pastor at Haynes Grove. In April of 2003 Rev. Webber left Haynes Grove to become pastor of Mt. Olive Baptist Church in Kings Mountain. On November 2, 2003 Rev. David Vernon of Gaffney became pastor of Haynes Grove. During Rev. Vernon’s pastorate a new back porch to the fellowship hall has been erected with a new handicapped ramp. In 2006 Mr. and Mrs. Paul David Matheny donated to the church a .885 acre lot north of, and adjoining, the church property. Under Rev. Vernon, Haynes Grove Baptist Church continues to serve, guide and lead its small but enthusiastic congregation—as it has for the past 100 years. Sunday, August 19, 2007 was a very special day in the life of Haynes Grove Baptist Church. But the morning worship service was, no doubt, not unlike thousands of others previously held there. The air conditioning was pumping out cool air, but when the audience began singing “Heaven Belongs to Me” with Jeremy Vernon accompanying on the drums and Reverend David Vernon on the piano, the temperature began to rise. For more than an hour there was testimony from church members, prayers, and songs of praise—many songs of praise. Not even the hardest heart nor the most cynical mind could have avoided being moved. Then came the message from Rev. 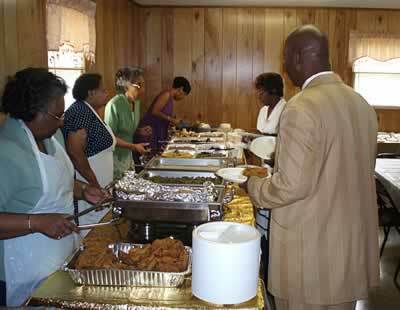 Vernon and, at 2:00 pm, lunch in the fellowship hall. 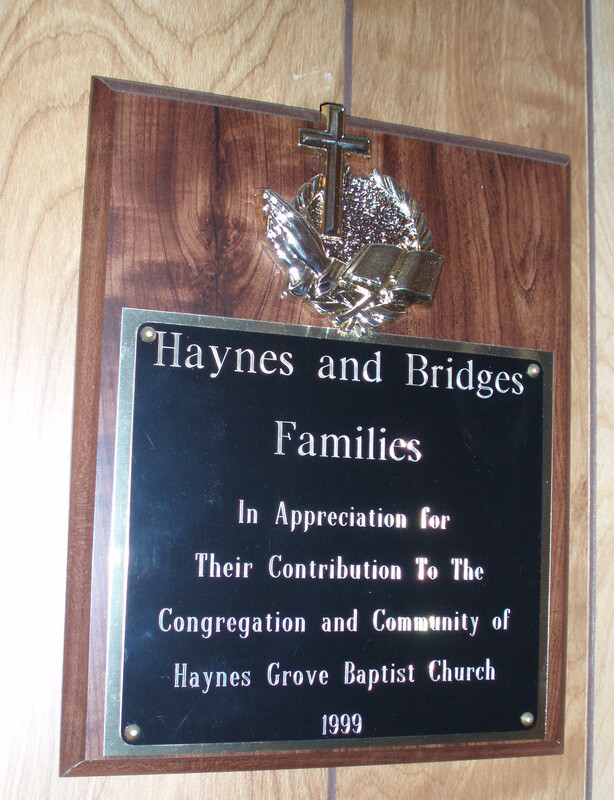 But the day was just beginning; for this was the 100th anniversary of Haynes Grove Baptist Church. When giving the name of the church it is important to stress the “Baptist” portion. For the building which houses the church is 104 years old! Indeed it is the oldest church building in Cliffside and it has been in continuous use for all of its 104 years. This seeming contradiction arises from the fact that from 1903 to 1907 the church building housed a Methodist church. But back to the celebration, which continued into the afternoon. For the afternoon service a choir from Mount Olive Baptist Church in Kings Mountain was present, along with Rev. Charles Webber, the pastor at Mt. Olive. Another special guest was Dr. E. D. Brantley, pastor of Lowndes Hill Baptist Church in Greenville, SC. By 3:00 p.m. the air conditioning was doing its best, but the ushers were busy handing out the traditional “funeral home fans.” Those lucky enough to get a fan put it to good use. The church was packed. Deacon Ervan Macopson commented that he had not seen the church so full recently, save for funerals. It is not impossible, nor even unlikely, that an observer standing outside could have seen the sides of the building oscillating as all present joined in singing. Highlights of the afternoon service included the reading of a history of the church written by Ms. Mary Webster. Also, Ms. Rosalind Tate spoke about the long tenure of her father, the Rev. E. W. Bonner, as pastor of Haynes Grove. And for the continued support of the church Ms. Tate, her brother Dr. Ernest Bonner, Jr., and her daughters Brandy Tate and Valerie Arroyo gave $1,500 in memory of her father and in honor of her mother Mrs. Eula Bonner. It was indeed a day to remember.